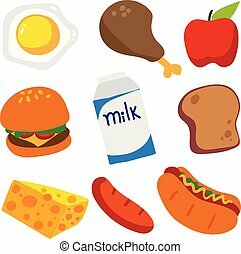 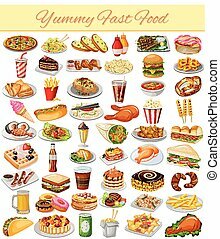 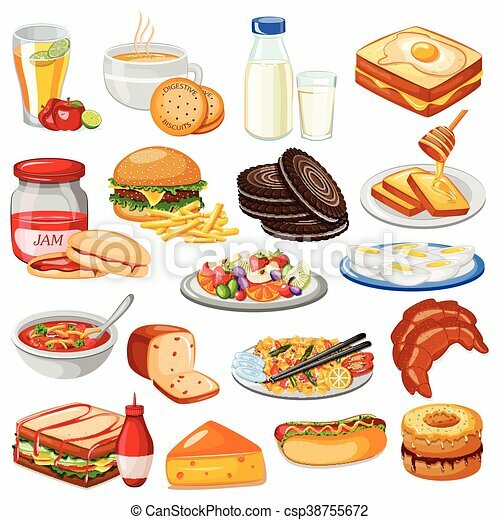 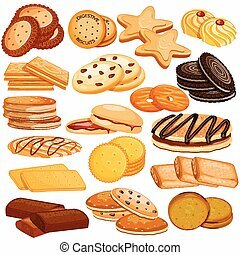 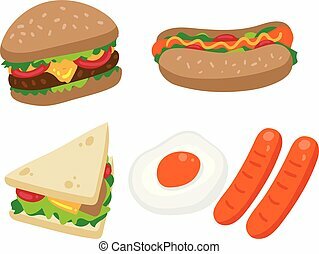 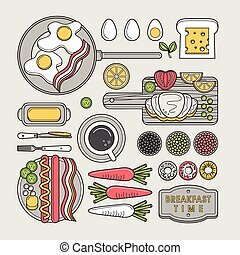 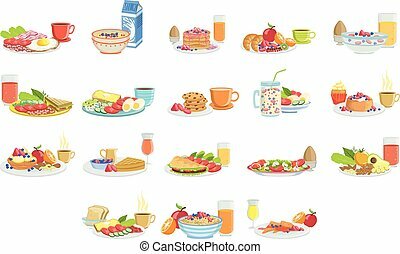 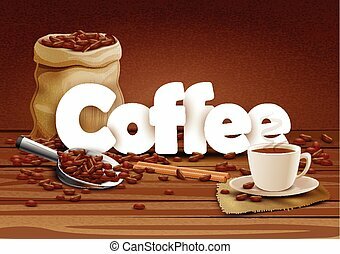 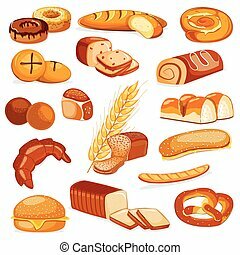 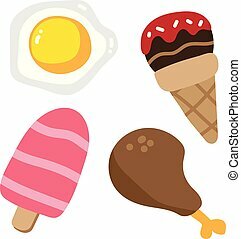 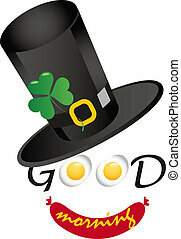 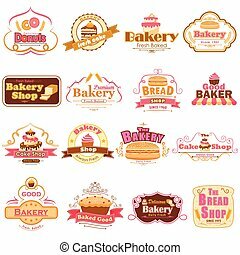 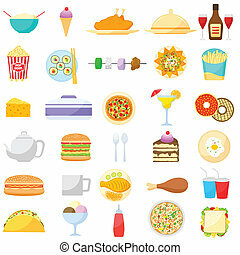 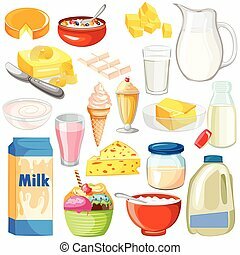 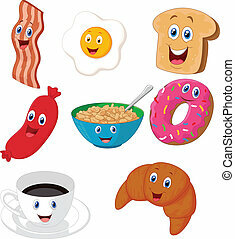 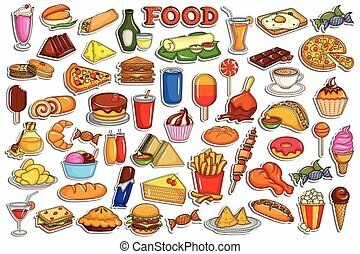 Vector illustration of breakfast menu food collection. 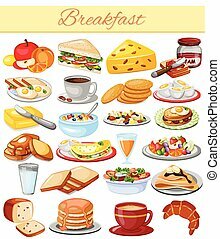 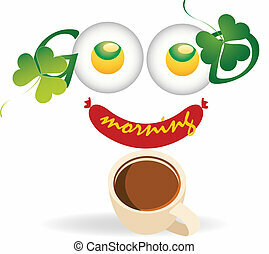 Icons set with breakfast food, sandwiches bread and hot drinks. 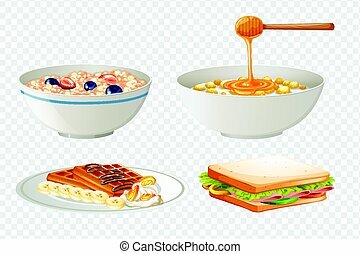 Different Breakfast Food And Drink Sets. 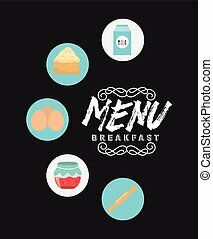 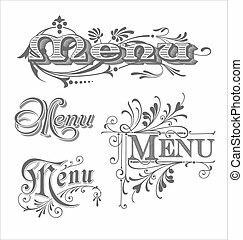 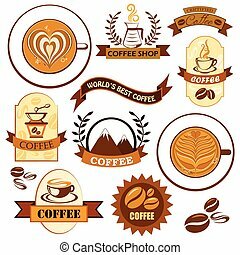 Collection Of Morning Menu Plates Illustrations In Detailed Simple Vector Design.